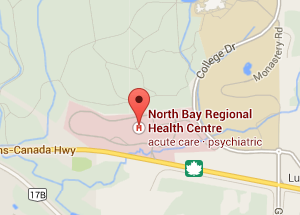 NBRHC has 389 beds and numerous outpatient and outreach services in North Bay and throughout the northeast region. 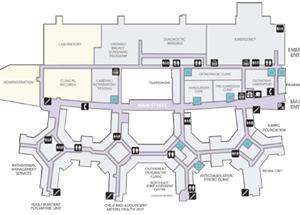 NBRHC is one of four major acute care hospitals serving northeast Ontario; the others being Sault Area Hospital, Timmins and District Hospital and Health Sciences North (Sudbury). The area is also served by small community hospitals like Mattawa and West Nipissing General hospitals. 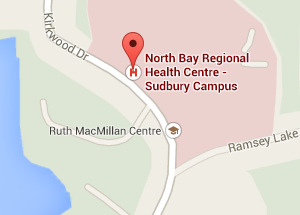 NBRHC’s Regional Mental Health Services provides inpatient beds in North Bay and Sudbury and outpatient and outreach services that throughout the region—from Hudson Bay to Muskoka from Sault Ste. Marie to the Quebec border. A major teaching centre for students in medicine, psychiatry, nursing and allied health professions, NBRHC is proud to be affiliated with the Northern Ontario School of Medicine, Nipissing University, Canadore College and several other Ontario colleges and universities. NBRHC is truly a caring place. Our staff and physicians maintain high standards and are flexible and innovative and ready to try new approaches that will improve patient care. Patients and their families repeatedly tell us that they appreciate the warm and skilful care they receive at NBRHC.